The International Milling Directory is pleased to announce a great update from an event chaired by one of its member companies. AB Vista‘s Research Director Mike Bedford provided a great platform for the industry of feed nutrition to expose some great research for knowledge and understanding. A report direct from the forum is below in this post. 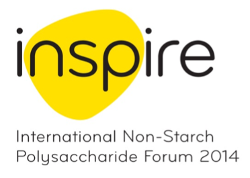 The inaugural Inspire: Non-starch Polysaccharide (NSP) Forum got underway yesterday with 80 delegates from 23 countries hearing presentations aimed at generating a deeper understanding of the complex structures of plant NSPs and the factors that influence their nutritional impact. It was the first of three sessions across the three days of the Forum looking, respectively at aspects of the NSP substrate, the impact of fibre on animal nutrition and feed enzyme solutions to improve efficacy and sustainability. Chairing this first session, AB Vista Research Director Mike Bedford highlighted the importance of understanding how NSPs were synthesised and structured when the target was to achieve effective and targeted breakdown using exogenous enzymes. The process by which cellulose is synthesised was outlined by Dr Staffan Persson of the Max Planck Institute. This was followed by a review of the arabinoxylan structure of cereal grains using a fluorescently-labelled inactivated xylanase by Joran Verspeet of KU Leuven, a technique which also highlighted clear evidence of specificity between different xylanases and different arabionoxylan structures. Stan Cauvain of Baketran then discussed the experience of the breadmaking industry in using xylanases to overcome the water retaining ability of grain NSPs to maintain bread quality. It was problem that had grown considerably as demand for high fibre wholemeal bread increased during the past 30 years. Mr Cauvain also highlighted the enormous challenge faced by his industry due to the variability in fibre content between flour batches, between flour types and between growing seasons. The inability to reliably predict response to xylanase addition – or the effect of the xylanase inhibitors known to be present in some grains – meant a heavy reliance on extensive and regular trial and error screening, a situation with considerable parallels in the feed industry. The session closed with a presentation by Dr Per Aman of the Swedish University of Agricultural Science, who discussed the challenges faced when trying to analyse plant fibre. “None of the methodologies currently used produce exactly the same substrate conditions as found in the animal gut,” he stated. “In terms of the characteristics important to animal nutrition, the molecular structure of the fibre component can be hugely important, as can agronomic conditions. Those interested in receiving the latest information before and during the forum can follow @inspireforum or the #nspforum hashtag on Twitter. A full list of speakers can be found at inspireforum.com. 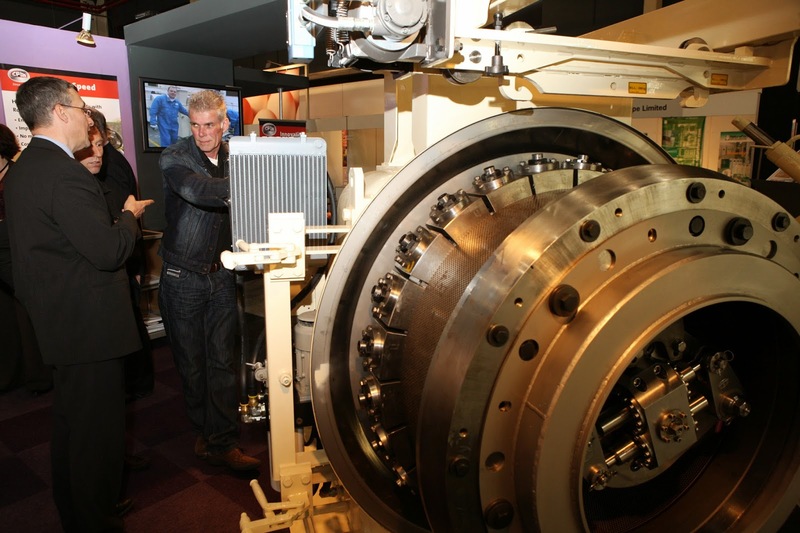 This May professionals in milling and processing from around the world finally have the chance to return to their favourite Dutch city for global expo VIV Europe. 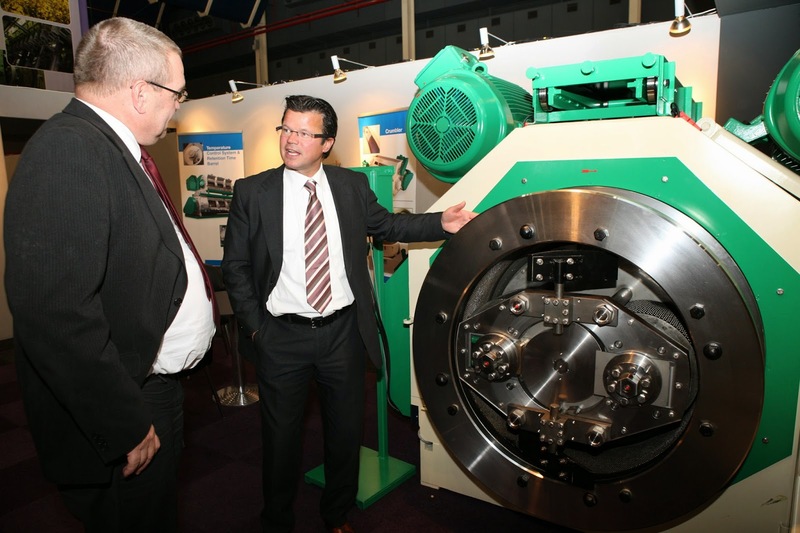 Utrecht in The Netherlands boasts a proud history of hosting exhibitions to welcome and inform feed industry executives from around the world. Now Utrecht is preparing to take on that role once again, when the VIV Europe 2014 world expo for poultry and livestock husbandry and processing takes place in this beautiful city from May 20th to May 22nd. A unique trade show where crop and feed technology will play a prominent role. For instance a debate on digital engineering at the heart of feed production will take place as well as a major CropTech-FeedTech conference on Wednesday May 21st. Before the conference launches, an open discussion involving all of the participants will commence with short presentations on the digital engineering theme by six global suppliers. Key suppliers who will address automation in all parts of the feed manufacturing chain, from mixing and conveying to pelleting and extrusion. The developments in this field are progressing so rapidly and are so vital for the production of animal protein that this theme has attracted massive international interest. Exhibition manager Ruwan Berculo explains: “Within the central theme of ‘Sustainable intensification’ the production of animal feeds is essential. The quality of the feed is a spearhead because this has such a massive influence on the quality of the end products for the consumer. The feed component is also a significant factor for the cost price of meat, poultry meat and eggs. 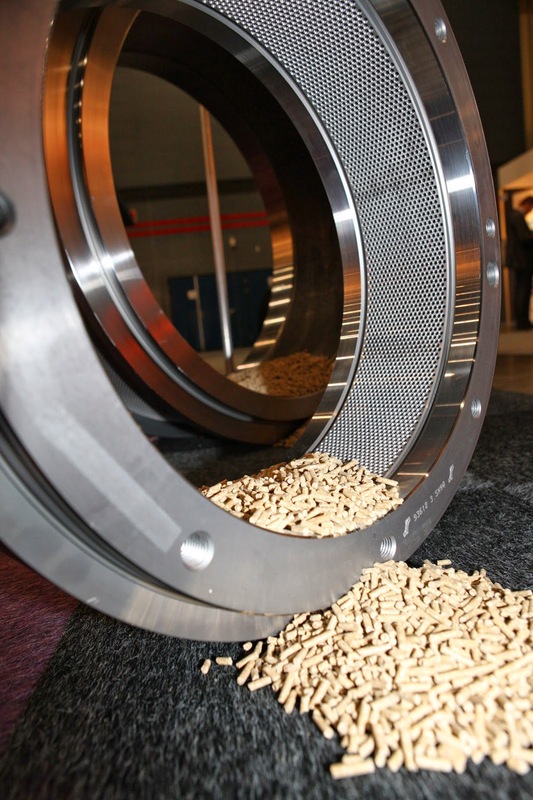 The production of high-quality feed is therefore a main topic at VIV Europe. The scientific world is discovering an increasing level of how the production chain can be managed by using technology and automation. It all comes down to the ability to switch quickly between various protein-rich raw materials, depending on price and availability on the world market and tracking and tracing.” At VIV Europe experts and exhibitors will therefore be presenting their best techniques and launch a variety of ground breaking products in this particular field. Berculo concludes: “Visitors will discover the combination of the technology on show and the seminars and congresses that will allow them to gain greater in-depth knowledge. We are expecting 20.000 key players from 140 countries to attend. Many are from Asia, Africa, the Middle East, South America and Russia. In addition entire diplomatic delegations will come to take a look at the world premieres. ” Complete cattle farm complexes and systems which cannot be exhibited at the show because of their size, will be visited via field-trips. Six hundred exhibitors from 45 countries have their latest products set to present to the entire industry. They are ready. Are you? Attending VIV Europe is free upon registration. Please click here for your free ticket! The International Milling Directory is pleased to inform our member companies and users about an upcoming event IRN, global summit organiser is pleased to bring you the Risks in Agri Trading: Emerging Markets 2014 Summit taking place in Geneva on 18-19 June. After hosting three successful editions of the Annual Soft Commodities Trading Summit in Geneva, and launching the inaugural Risks in Agriculture: Emerging Markets in Accra last November; IRN is now back to Geneva with a comprehensive platform designed for General managers, Traders, Treasurers, Supply chain specialists, Trade finance managers, Risk management experts, Operations managers and also Logisticians. With booming economies, plenty of natural resources and a fantastic margin for growth, emerging markets, such as; Africa, Latin America, South-East Asia, Middle-East are a hub for opportunities within the agri business especially for products such as coffee, cocoa, sugar cane, rubber, grains – the products grown in these areas. The Senior Experts in the industry will gather to discuss geopolitical risk and legal framework when operating in emerging markets, as well as economic and supply chain risks. From currency and credit risks, to country risk and physical risk. Expert speakers from the major trading companies will consist of; Olam, Cargill, Ecom Trading, Louis Dreyfus, Export Trading Group – and many others – whom will address those challenges by sharing with the audience their experience and best practices to keep those risks to a minimum. With plenty of room for networking, two workshops, on-stage discussions around essential topics such as credit risk and physical risk management, and specific case studies to shed some light on key emerging regions, the Summit is set to be a very interactive and informative platform. To register or for further information on the Risks in Agri Trading: Emerging Markets 2014 Summit, please go to http://www.agritradingrisks.com/. Roger Gilbert was invited to participate on the recent round of VIV Roadshows, speaking in Abuja, Nigeria at the beginning of January 2014 and more recently at the IPPE’s VIV Pig Production Summit USA. His topic was: ‘The role of a robust compound feed to meet the needs of a growing world population’ and based on survey results from Alltech’s feed survey showing world production in 2013 at 963 million tonnes. Looking at production statistics and population figures in isolation does not provide us with a clear view of where we have come from and where we are likely to end up in a world that is being challenged to feed itself adequately. Static figures do not encourage us to address issues that are looming. I’m of the view that information is knowledge, knowledge brings responsibility, and together provides us with influence and power to bring about change. If we ‘know’ we have a responsibility to ‘act’. Nigeria represents one of the few countries on the planet that is adding substantially and significantly to its population base. In the next decade it is projected by the US Census Bureau to add 50 million people to its current 177 million population base and by 2050 challenge the USA for the third most populated country at just under 400 million people! It’s an issue that our industry, and the food industry in general – both in Nigeria and globally – will have to address. Nigeria is just one example, an extreme one, of what is likely to happen in developing countries over the next 35 years. However, there is good news for Africa. From the FAO, and surveying the first 12 years of the 21st century, Africa IS increasing its production of foodstuffs faster than anywhere else on the planet. The area being harvested is increasing at twice the rate of that of any other region while two regions – the Americas and Europe – show no increase in area harvested at all. Product quality is also improving at the fastest rate in this region while yield increases are matching those being achieved in the America and Asia. While world food production growth is increasing on average at 2.1 percent per year, Africa is moving ahead at 3.5 percent – and Nigeria is in amongst the countries achieve these higher-than-average increases. Food consumption per capita based on an index of 2004-06, shows Africa achieving the fastest and most sustained growth rising from 78kg/head to 117kg/head since 1992. As we are addressing compound feed production it is interesting to see what is happening to the consumption of meat and eggs. Total food supply has doubled in that period to 1.4 million tonnes and per capita consumption of meat up from 7.4kg/head to almost 9kg/head. That in fact, highlights the next point I wish to make. How can ‘meat’ supply double yet per head consumption rise by less than 20%? The answer is straightforward – population increase. And that is why grams/day consumption of ‘meat’ products (in protein and fat terms) has largely stagnated in Nigeria since 1997. 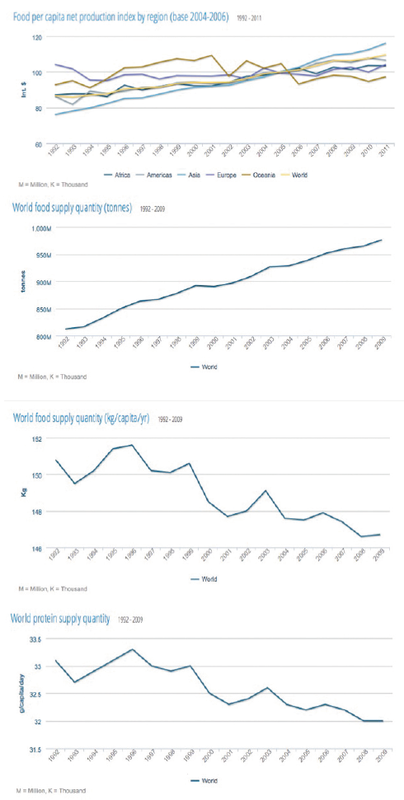 By comparison world food supply has also shown a steady upward trend, increasing by almost 1/5th over a 20 year period. However, in contrast to that, world per capita consumption has fallen from a high of 151kg on average to 146.5kg. No much you might think in terms of total weight, but the additional population over that period is having an impact and we are likely to see this downward trend continue. And based on consumption per person, the supply of protein in our diets is showing a steady decline as well. On average we are consuming a gram less protein per person per day. Again not significant you might think, but highlights an ongoing tend that can only accelerate. Fat consumption on the other hand remains relatively unchanged, at between 5.9-6g/head per day. 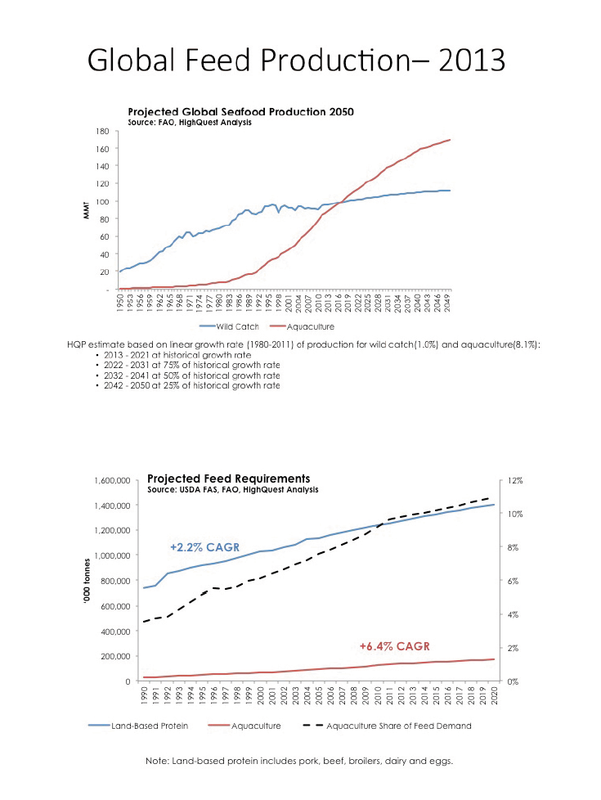 Possibly reflecting the tremendous increase in palm production throughout Asia over recent decades. 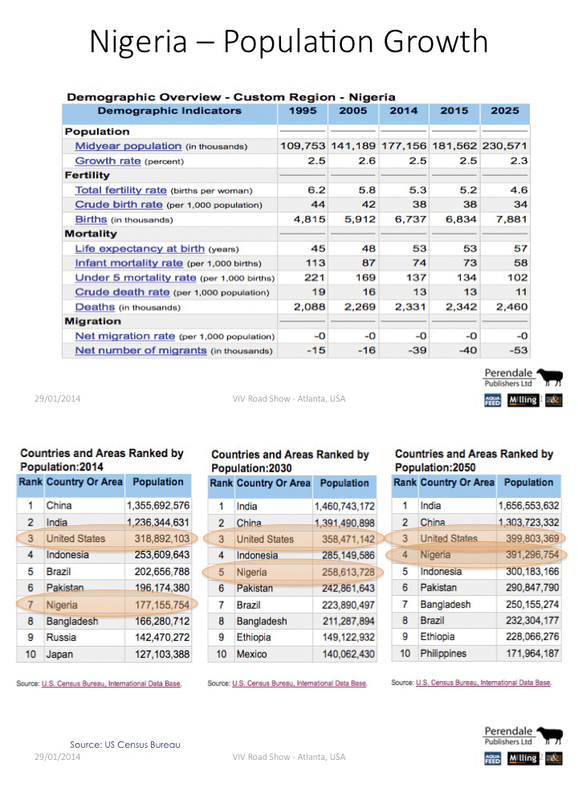 I want to show here how developing country populations are going to increase – again based on figures from the US Census Bureau. I have compared them to the country I live in – the UK – for comparison. You’ll notice that Nigeria has a wider population base compared to the UK (which given the total difference in numbers, is only natural). Also, the UK shows a ‘bulge’ in the 40-60 year olds groups due in part to the baby boomers following the Second World War. What is also evident is the increased number of people living longer in the UK than their counterparts in Nigeria. 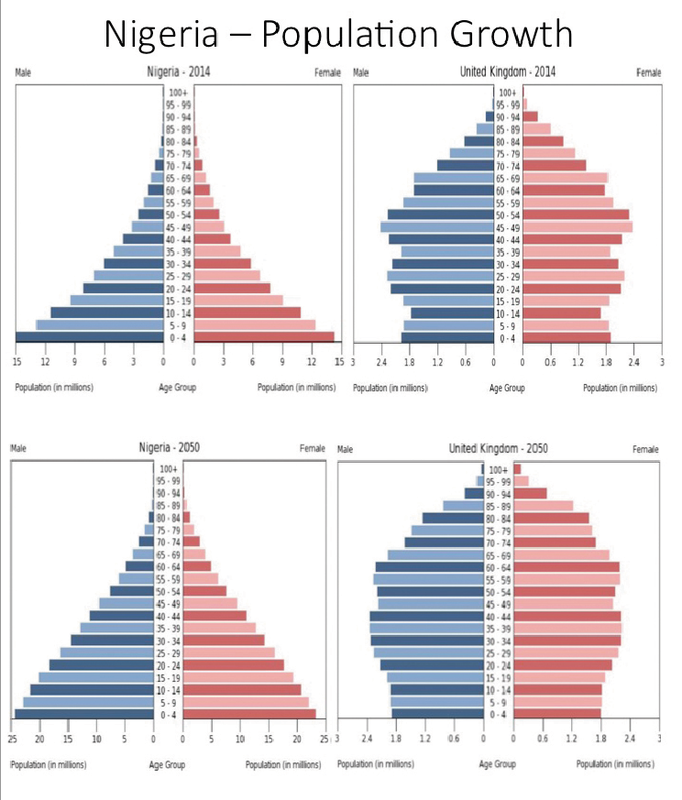 As we move ahead through time – to 2030 – the Nigerian population base has widened by an additional 8-10 million births in the 0-4 age group (with a total of 38 million) while the shape of the pyramid remains the same; and with no more people living longer. In the UK on the other hand the population base has remained largely unchanged while even more people are living longer. Finally, by 2050, the year in which it’s calculated the world will reach 9.5 billion people on the planet, and before stabalising at around 10 billion for the remainder of the century, Nigeria, while maintaining its pyramid shape, will once more see its population base expand, this time adding almost 70 million people in one-to-four year olds! Again the UK is largely unchanged with a static population base. These are in general the two key trends that differenciate between today’s developed countries and those ‘developing’. I’m basing my comments on the latest Alltech Survey 2013 which provides output figures up until December 2013: the most comprehensive available for our industry worldwide and which we should be grateful to have. The world currently manufacturers annually just under a billion metric tonnes of compounded or formulated animal feed. 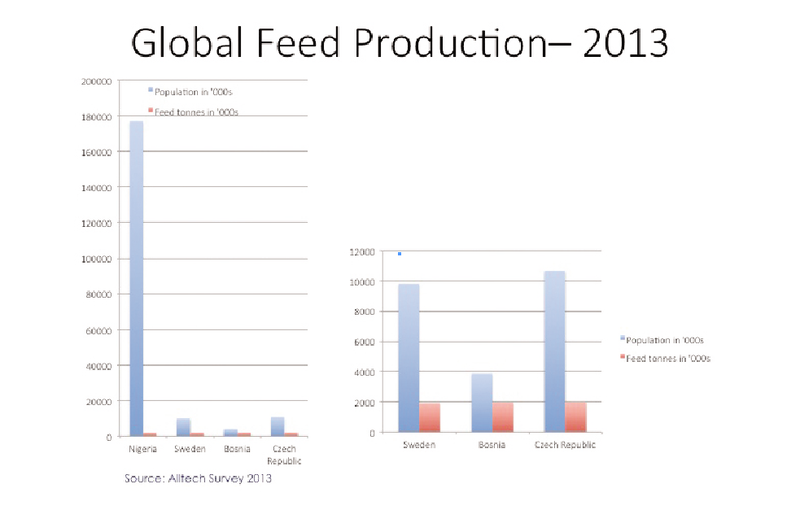 These feed statistics were collected by 600 Alltech staff from 130 countries involving 28,196 feedmills. Note: Numbers for less developed countries may be less accurate; but that will have little influence on overall dataset. The top 10 countries in descending order of output are: China, USA, Brazil, Mexico, Spain, India, Russia, Japan, Germany and France which account for 611 million tonnes or two-thirds of world production. Poultry, which includes layers, broilers, turkeys and others, account for 444.4 million tonnes of feeds while pigs account for 242.8 million tonnes and ruminants – dairy, beef, calves and others – 195.6 million tonnes. Aqua experienced fastest growth up 17% over 2012 – exceeded 40 million tons. The 16 important countries in terms of feed production are ranked in the bar chart above because I want to make the point that countries producing more feed do not necessarily have more feedmills. In fact, this chart is ranked by countries on the left with the least feed mills to the most on the right. 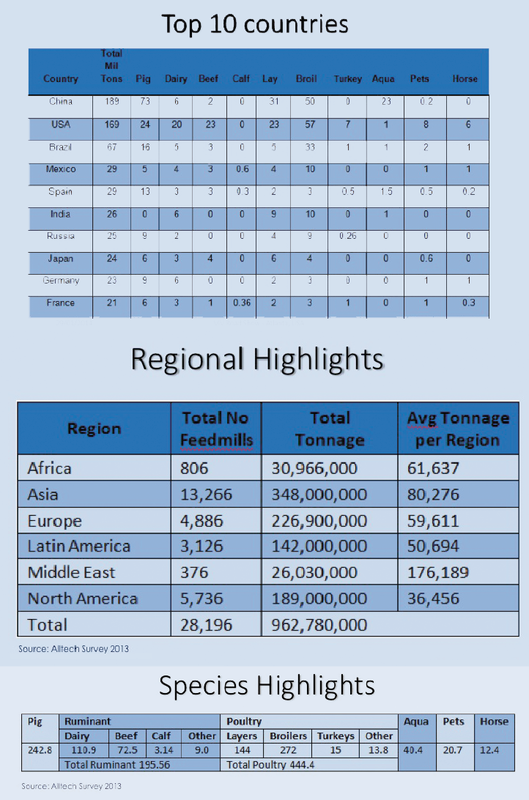 And what is really interesting is that the average production from feedmills is not too dissimilar between countries and between regions at 30,000-60,000 tonnes per year. Nigeria ranks 54 out of the 133 countries surveyed, in terms of total formulated feed production at 1.9 million tonnes (this does not include home-produced feeds or feeding straights or unformulated feeds). I’d like to extrapolate some figures from the information presented and raise a question or two for you to ponder. What are the populations of other countries producing a similar amount of feed to Nigeria? 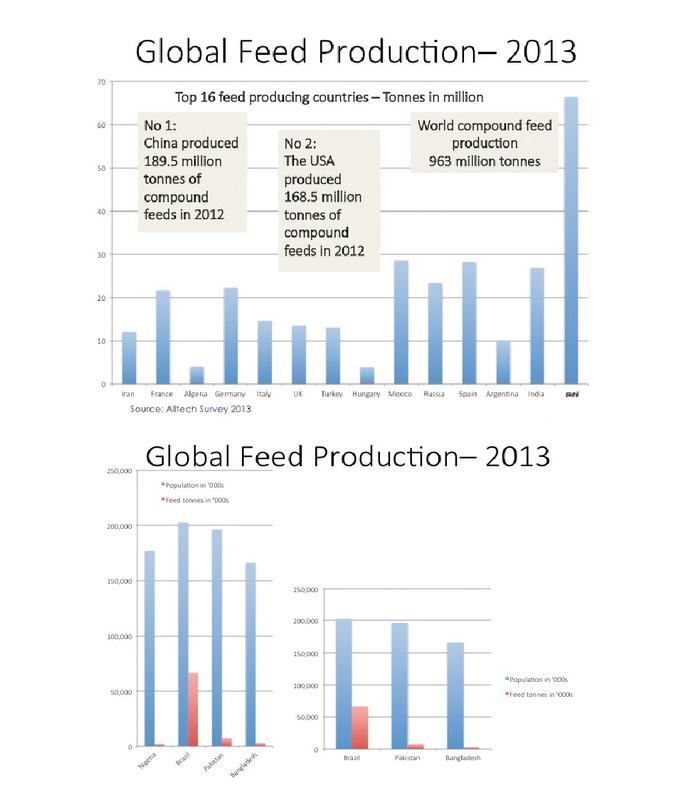 How much feed is being produced by those countries with similar populations? The reason I ask these questions is that I believe there is a correlation between the volume of compound feed produced in a country and the ability of that country to feed its population adequately. And I have identified a ‘benchmark’ that I believe all countries need to exceed in order to claim they are providing the nutritional requirements for their populations. As FAO and other UN organisations, including their associated NGOs, demonstrate safe and affordable food supply is not the responsibility of those with commercial interests alone to fulfill; there is a need for governments to assume responsibility in ensuring food is produced in volumes that are safe and affordable for all. Here, I show Nigeria’s total population in 2014 alongside the volume in tonnes of its compound feed production (just under 2 million tonnes). I’ve compared that to other countries producing approximately two million tonnes of compound feed and show here the populations those countries feed. If my proposal has any substance, then the people of Bosnia will be enjoying a healthy diet of livestock and fish products than their counterparts in Sweden or Czech Republic. Or they are enjoying healthier incomes from export sales. When comparing Nigeria’s 177 million population of today with similarly populated countries we can compare their compound feed production; it is quickly evident that Nigeria is faring no better than Bangladesh and is a long way behind a country like Brazil. For every Nigerian to enjoy the ‘world average’ supply of animal proteins based on compound feed, then the Nigerian Feed Industry has to rise to the challenge and lift production from 1.9 million tonnes to 23.6 million tonnes annually: over a 10-fold increase on what it is producing now. I believe that scientifically-formulated compound feeds offer the solution to this world feeding itself adequately by 2050. We not only have to meet the future needs of humans arriving on the planet, but we also have to meet the needs of those wanting to improve their diets as they become more economically advanced. On top of that we have to address the one billion people FAO tells us are receiving less food than is required to sustain themselves. That figure has not been diminishing, but increasing in recent years. You may not believe that growing livestock and fish for protein is the way forward however, growing and consuming cereals and crops has not proven to be the complete answer either. Livestock and fish have many advantages in the production of protein for human consumption over grains and cereals (which we cannot go into here) and we should give this industry a chance to prove itself as it offers huge utilization and conversion efficiencies yet to be fully realized. Unless we measure where we are we cannot set meaningful ‘benchmarks’ for ourselves or our industry for the future. Alltech’s figures are the first comprehensive figures the industry has on just how much compounded feed is being produced and used. Based on these figures and our current world population, I put it to you that each country must set an annual benchmark that sees every citizen having access to food that is based on 133.6kg/head of scientifically-formulated compound feed. After all, that’s the world average and every country should be striving to be equal to or rise above the average in terms of supplying safe and affordable food to its people. ARLINGTON, Va., February 20, 2014 — The American Feed Industry Association is pleased with the U.S. Department of Agriculture and U.S. Food and Drug Administration’s new agreement that designates USDA’s Agricultural Marketing Service (AMS) as the authority to certify animal feed and pet food products for export to foreign countries. AMS was selected to lead the programme due to its experience in working with stakeholders to develop export certification programmes that meet the specific requirements of foreign countries. The agreement was modeled after a previous USDA/FDA agreement on processed egg programmes. “This agreement is a big step toward helping U.S. feed exporters take advantage of the growing global demand for these products,” said AMS Administrator Anne Alonzo. The agency now has the ability to certify a wide range of animal feed products, including pet food and treats, dried distillers’ grains with solubles, mixed-ingredient feeds and feed additives. The programme will not be implemented across the board for all feed and feed ingredient products to all markets. Instead, it will be addressed on a country-by-country basis. 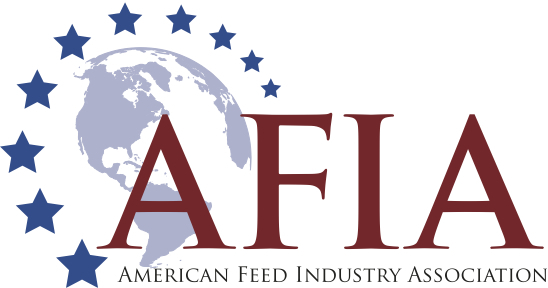 AFIA will help identify markets where the feed, feed ingredient and pet food industries are currently experiencing export difficulties related to certifications on foreign requirements. AMS will then work with the foreign government to determine if there is an opportunity for AMS to fulfill the requirements. The hope is for AMS to develop a programme and certificate that could be used across several export market requirements, rather than creating a separate certificate for each market. Steps are already underway to use this programme to address certification requirements for processed plant-based feed products under China’s AQSIQ Decree 118 and AFIA looks forward to future opportunities to use this new mechanism for certification of feed and pet food products for export in other markets. AFIA has been supportive of the USDA/FDA agreement since its early stages of development. The organization plans to work collaboratively with AMS, FDA and other representatives from the feed, grain and pet food industries as this programme develops. Happy 154th birthday to Bühler! The International Milling Directory wishes Bühler a very happy birthday for 154 years of business. As an important member of the directory for a many great years, we all wish Bühler well for the next decades ahead. See more information on the Facebook page at Bühler at https://www.facebook.com/buhlergroup/photos/exp.661780200531476.unitary/661780070531489/?type=1&theater . 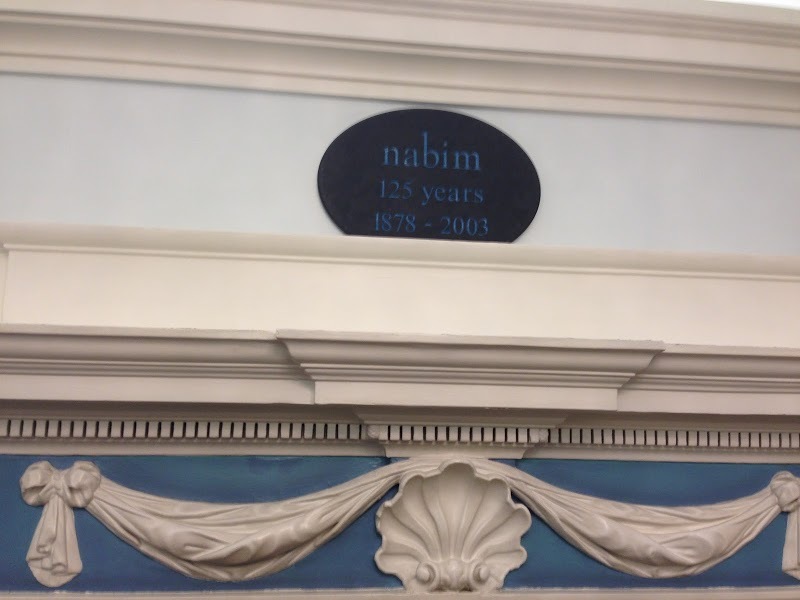 The International Milling Directory again returned to London for meetings, talks and a fine reception event in nabim’s headquarters at 21 Arlington Street, London yesterday (Tuesday 11th February 2014). We met many flour millers and managed to reconnect with many familar faces in the UK industry, and emjoyed hearing some fantastic feedback and industry news from millers. ‘Bin the beetle’ was a great presentation about various ways millers can prevent and react to beetle infestations. Our own Roger Gilbert even asked a question about inspection, and technological advancements even proactively meaning the process and problem-solving work with infestations are prevented before they happen. 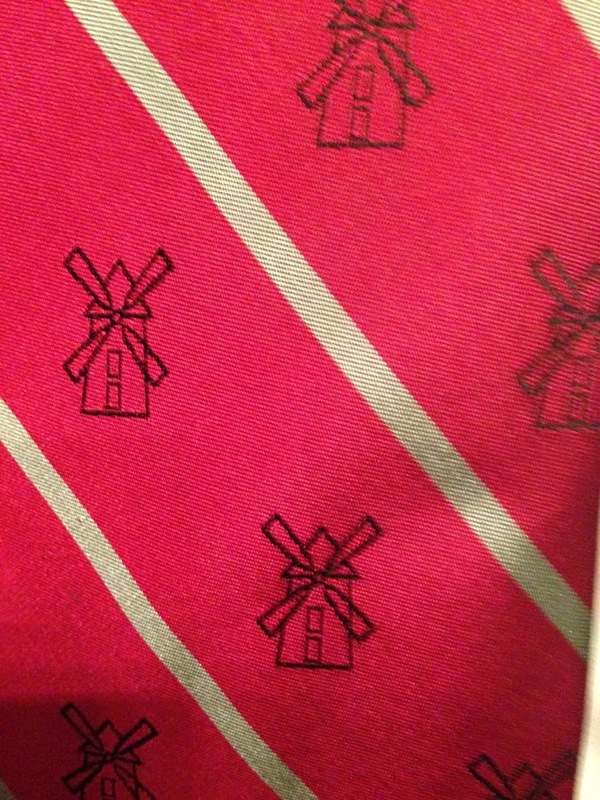 The International Milling Directory was well-represented in the attendees’ companies. Register or update your company today ready for the new directory – the 23rd edition for 2014/15 – at www.internationalmilling.com. 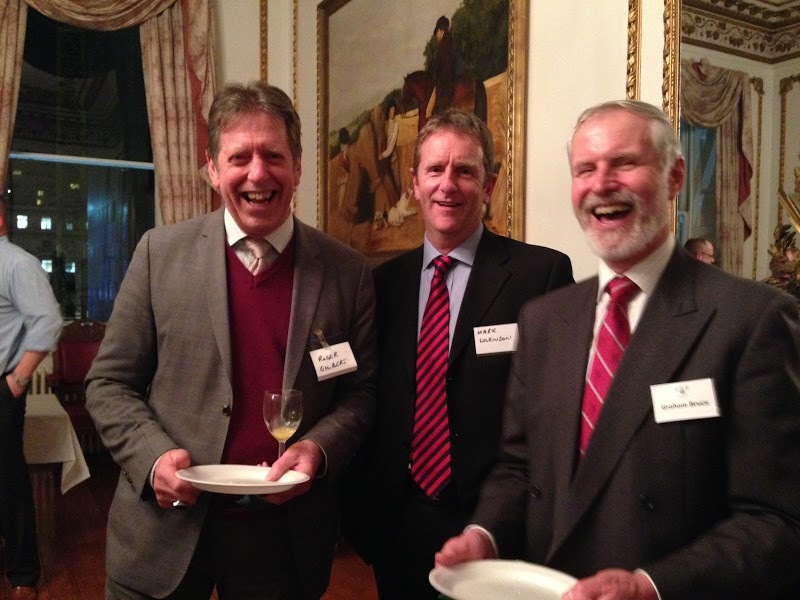 HGCA and nabim: 2014 Milling Wheat Challenge annouced! The International Milling Directory welcomes UNIQAIR Technologies Ltd as a new member. For the feed and pet food industry who need to reduce odor emissions, our product, the Plasma-Injector, is a unique cold plasma oxidizer that can not be contaminated by the process air.Unlike chemical scrubbers, biofilters or incinerators, our product eliminates odors without chemicals, water or waste and is carbon neutral. Register your company at www.internationalmilling.com today – from free – and join our 23rd year. International Milling Directory member O&J HØJTRYK A/S’ main contact paid a visit to the UK headquarters in Cheltenham today, Wednesday 5th Feburary. Battling through bad weather, unruly transportation and a disappointing meal at Brasserie Blanc in Cheltenham, Leif had a tiresome Tuesday travelling from Amsterdam to Cheltenham ready for today. However, company and familiarity of catching up over a shared passion of milling brightened up the experience. Leif Wolf met with staff Roger Gilbert, Darren Parris, Tuti Tan and Tom Blacker to discuss our common values and to finalise the latest article which will be published in the January/February issue of Grain & Feed Milling Technology. Both parties have met may times before at industry events and in many countries: Germany, Thailand and Turkey to name a few but hosting Leif in our main premises was a pleasure we could not refuse. We gained great mutual insights and learnt an impressive amount from Leif, and appreciate each other’s partnership in moving towards the future in feed production industries. nabim, supported by HGCA, has launched the fifth Milling Wheat Challenge competition to find the UK’s outstanding grower of quality milling wheat. The competition has become established as a way for Britain’s flour millers to formally recognise the value of the country’s best growers to the processing trade. We are committed to working with UK wheat growers and we are looking for farmers who combine attention to detail with end-customer awareness and business acumen to create a win: win for the whole wheat chain” Martin said. Entry forms are available via the nabim and HGCA websites. The closing date for entries will be Friday, 2 May 2014 and the three finalists will be announced at the Cereals Event on 11 June. On-farm judging of the finalists will take place in late June. The competition judges are Martin Savage from nabim, Richard Laverick from HGCA and Mark Ireland, a Lincolnshire Farmer and former “Farmers Weekly Arable Farmer of the Year”. 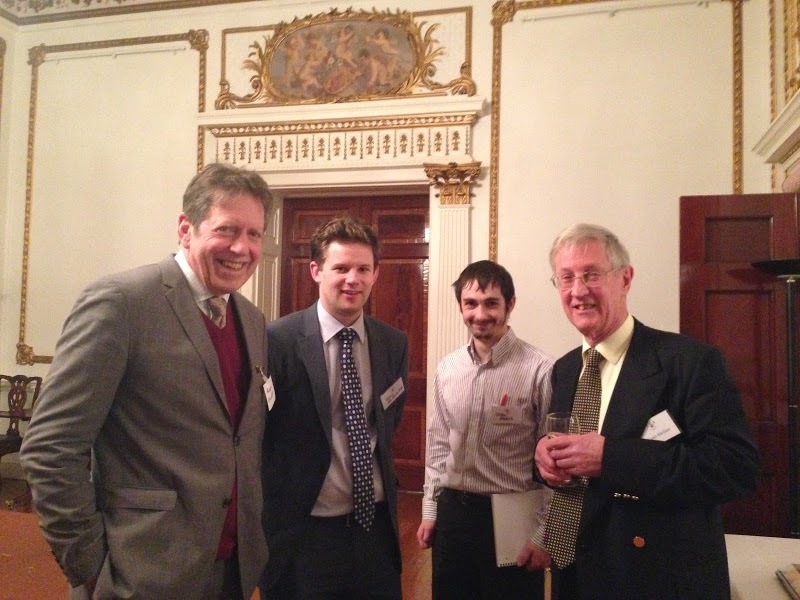 The three finalists in the 2013 Milling Wheat Challenge were Stephen Craggs, East Close Farm, Sedgefield, Stockton-on-Tees, James Loder-Symonds, Denne Hill Farm, Womenswold, Canterbury, Kent and Nick & David Philip, Church Farm, Waltham St Lawrence, Reading, Berkshire. The overall winner was Stephen Craggs. The finalists, their partners and an additional guest, together with leaders from the UK wheat supply chain, will be invited to a celebration dinner hosted by nabim in October at the Ritz Hotel in London where the overall winner will be announced.